Each year, I look forward to reminding you of the incredible impact you have—making it possible for some of the world’s most vulnerable to rise out of poverty, regain their sense of dignity, and become self-reliant. At NEF, we believe that ending poverty starts with an opportunity—an opportunity for people to have access to the right tools, resources, and knowledge so they can improve their own lives and activate meaningful, lasting change in their communities. Because of you, we are able to offer that opportunity. Our team works hand in hand with local communities to design and implement innovative programs to address local development needs in fragile economies—from lifesaving resources to cutting edge technologies. And because of you, many of those we serve are going on to become leaders, educators, and employers in their communities—illustrating the domino effect of your good will. These people, determined to not only improve their own lives but the lives of their entire communities, are NEF Heroes. As you click through the images below to see their stories, I hope you take pride in the profound difference you have made in the lives of so many. We remain deeply grateful for your support and hope that we can count on it again this year. 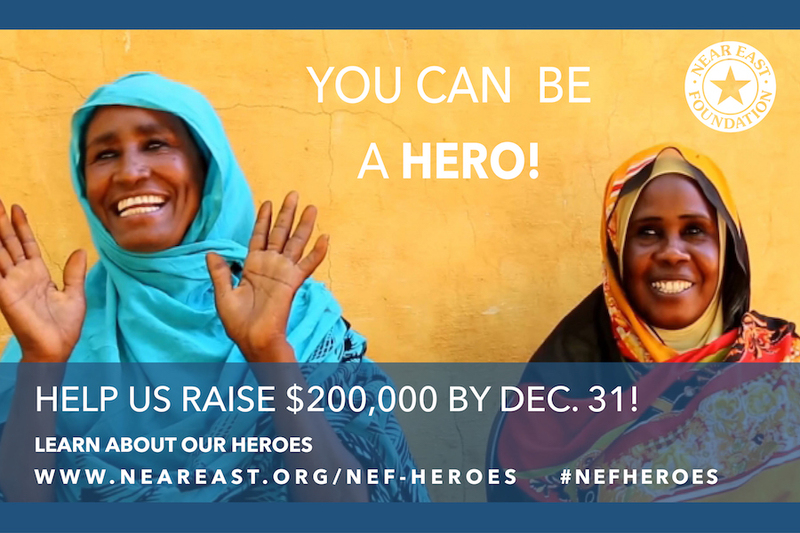 PS Click to learn about more NEF’s Heroes Campaign.